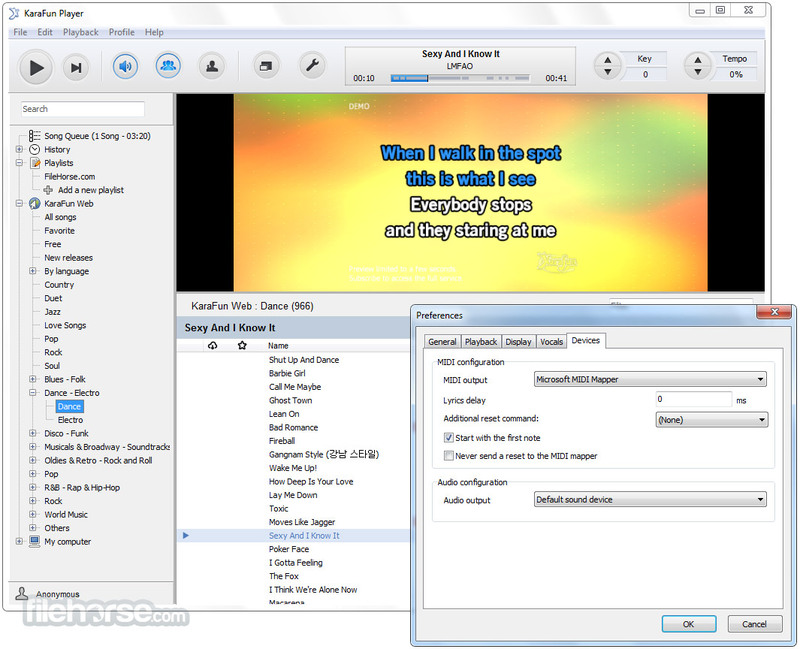 Karafun Player offers a complete solution for home karaoke. 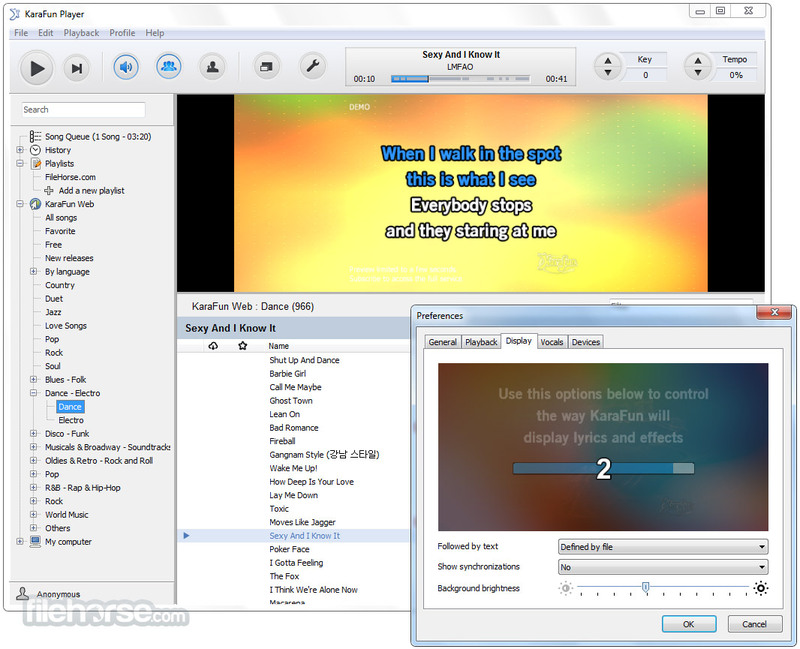 This karaoke software for Windows PC is based on a powerful and evolutive 3D animation engine. 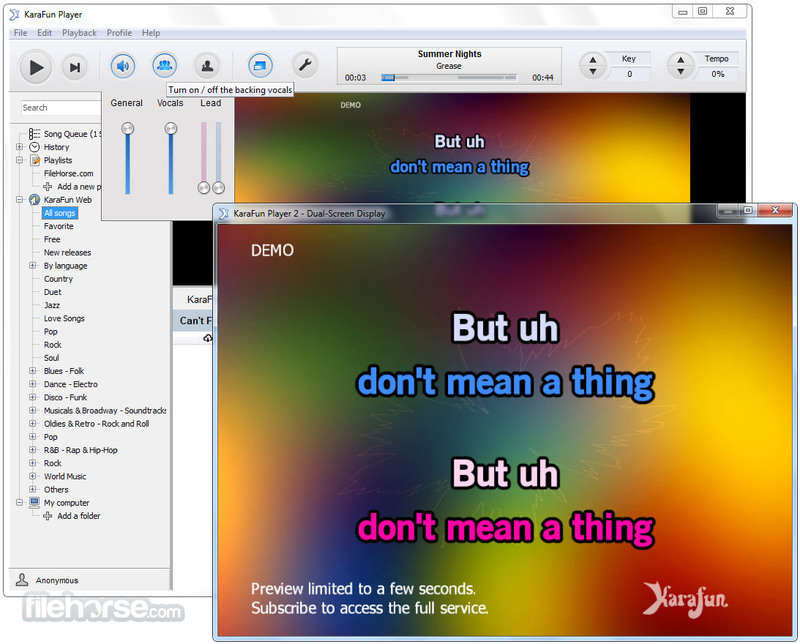 KaraFun contains an easy-to-use editor which can import many existing karaoke songs. Even if it's supporting KAR files (midi), it's planned to work with digital files (MP3 for example) and it introduces the new KFN file format. 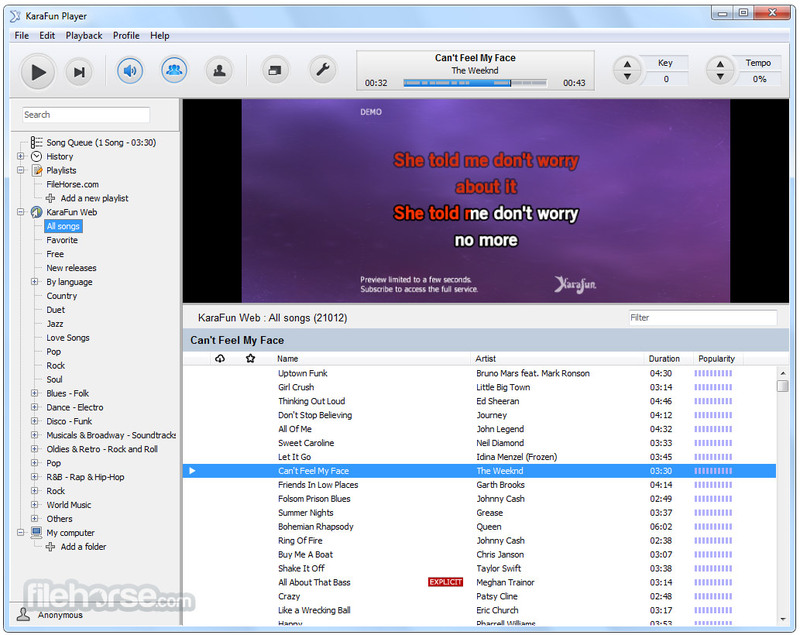 KaraFun Player allows you to play your own karaoke files as well as the songs of the KaraFun online karaoke catalog. 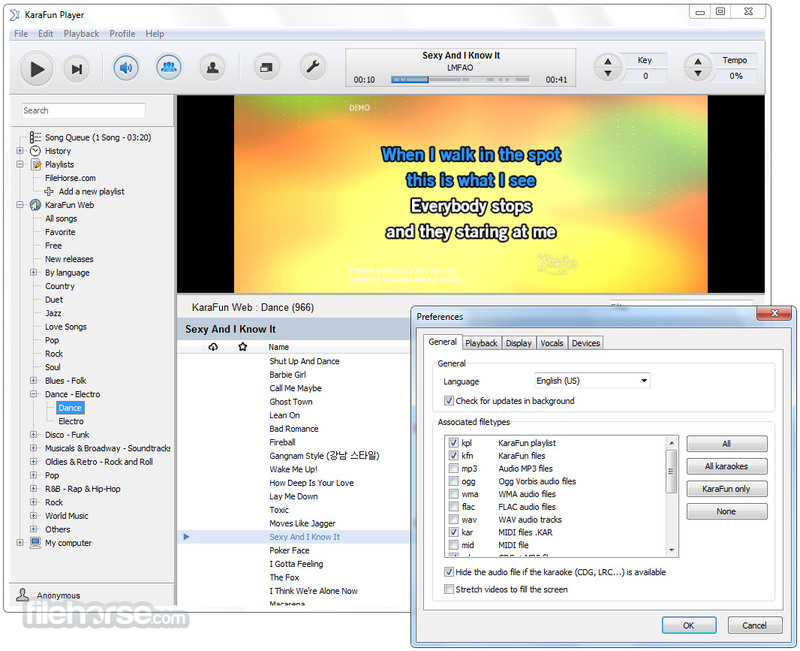 The editor allows building unique and funny karaoke files. KaraFun offers unique control of every voice. Change the volume of the backing vocals and each voice independently. You can now sing duets, even when you're alone! KaraFun gives you more than 28,000 high-quality karaoke songs recorded in professional studios. Your device instantly becomes the perfect karaoke machine! Hosting a karaoke party in the country house? KaraFun's got your back even when you're off the grid. Sync the songs that you like (or need) offline and keep the party going!